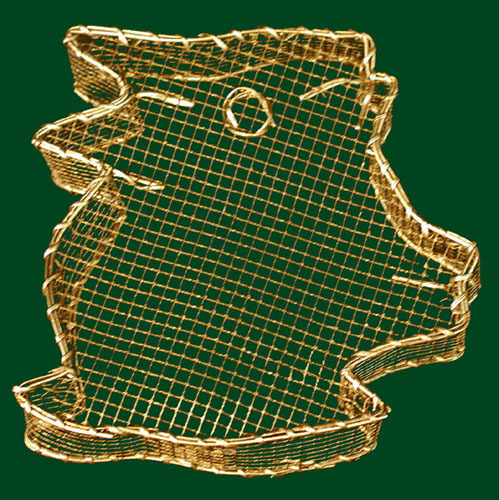 This rabbit shaped basket measures 10" x 9.5" x 2.5". The dimensions are outside measurements. It is made of galvanized steel wire and available in all metallic finishes. The sample basket is finished in Gold.